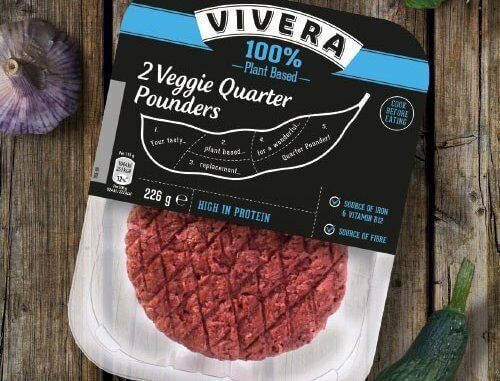 Vivera, producers of a 100% plant-based steak, have announced that their newest product will be stocked in Sainsbury’s stores from tomorrow. Vivera is the fastest growing producer of plant-based meat alternatives, and produce over a million plant-based products per week, making them one of the largest producers in Europe. They have now introduced what they describe as the “highest quality 100% plant-based hamburger” and claim that they have produced the highest quality vegan burger currently available. The company, based in the Netherlands, introduced their plant-based steaks earlier this year and have already sold over a million pieces across European stockists. Their portfolio already boasts over 40 meat-free products, and their new product, the Veggie Quarter Pounder, will be available in Sainsbury’s stores from 6th October. The Veggie Quarter Pounder will be exclusive to Sainsbury’s in the outset. Distribution and sales will be covered by Vivera’s UK partner Winterbotham Darby.